Peter Fenves, Joan and Sarepta Harrison Professor of Literature, is Professor of German, Comparative Literary Studies, Jewish Studies, and Asian Languages and Cultures. He is the author of A Peculiar Fate: Metaphysics and World-History in Kant (Cornell University Press, 1991), “Chatter”: Language and History in Kierkegaard (Stanford University Press, 1993), Arresting Language: From Leibniz to Benjamin (Stanford University Press, 2001), and Late Kant: Towards Another Law of the Earth (Routledge, 2003), which was translated into German in 2010, with a Spanish translation underway; The Messianic Reduction: Walter Benjamin and the Shape of Time (Stanford University Press, 2010); and Walter Benjamin entre los filósofos (Palinodia, 2017). Professor Fenves is also the editor of Raising the Tone of Philosophy: Late Essays by Kant, Transformative Critique by Derrida (Johns Hopkins University Press, 1993), the co-editor of “The Spirit of Poesy”: Essays on Jewish and German Literature and Philosophy in Honor of Géza von Molnár (Northwestern University Press, 2000), and the co-editor of Points of Departure: Samuel Weber Between Spectrality and Reading (Northwestern University Press, 2016). He is also the translator of Werner Hamacher’s Premises: Literature and Philosophy from Kant to Celan (Harvard University Press, 1996). In addition, he provided an extensive introduction to a new English edition of Max Brod’s early novel, Tycho Brahe’s Path to God (Northwestern University Press, 2006). The author of numerous essays and articles on a variety of topics, Professor Fenves’s essays on German literature (besides those collected in Arresting Language) include “Continuing the Fiction: From Leibniz’ ‘petite fable’ to Kafka’s In der Strafkolonie,” MLN 116 (2001); “Die Scham der Schönheit: einige Bemerkungen zu Stifter,” in “Geteilte Aufmerksamkeit”: Zur Frage des Lesens; “Johann Christian Friedrich Hölderlin,” in The Encyclopedia of Aesthetics; “Measure for Measure: Hölderlin and the Place of Philosophy,” in The Solid Letter: New Readings of Friedrich Hölderlin; “‘Workforce Without Possessions: Kafka, ‘Social Justice,” and the Word Religion,” in Freedom and Confinement in Modernity: Kafka’s Cages; “‘When Christianity is Finally Over’: Images of a Messianic Mobility in Heine and Benjamin,” in Messianic Thought Outside Theology; and “The Category of Philology,” in For Love of Words: Hamacher and Philology. Among his inquiries into German philosophy (beyond his books on Kant) are “Marx’s Doctoral Thesis on Two Greek Atomists and the Post-Kantian Interpretations,” The Journal of the History of Ideas 46 (1986); “Image and Chatter: Adorno’s Construction of Kierkegaard,” Diacritics 22 (1992); “The Revelation of Irony: The Young Kierkegaard Listens to the Old Schelling,” in International Kierkegaard Commentary: “The Concept of Irony”; “Language on a Holy Day: Mendelssohn and the Temporality of Language in Jerusalem,” in Perspectives on Early Modern and Modern Intellectual History; “What is Aufklärung (in Pennsylvania)?” in American Babel: Literatures of the United States from Abnaki to Zuni; “Imagining an Inundation of Australians; or Leibniz on the Principles of Grace and Race,” in Race and Modern Philosophy; and “Martin Heidegger,” in Blackwell Encyclopedia of Literary and Cultural Theory; “Absent an Even Finer Feeling: A Commentary on the Opening of Observations on the Feeling of the Beautiful and the Sublime.” in The Cambridge Companion to Kant’s “Observations on the Feeling of the Beautiful and Sublime”; “Kierkegaard and the Definition of the Demonic,” in Das Dämonische nach Goethe: Schicksale einer Kategorie der Zweideutigkeit nach Goethe; “Renewed Question: Whether a Philosophy of History is Possible,” MLN 129 (2014); “‘Thankless Trouble’—Ethical Contemplation of Nature,” The Yearbook of Comparative Literature 58 (2012); “From Nietzsche’s Philosophy of History to Kant’s—and Back,” History and Theory 54 (2015). His essays and articles on contemporary critical thought include “From Empiricism to the Experience of Freedom,” Paragraph 16 (1993); “Marx, Mourning, Messianicity,” in Violence, Identity, and Self-Determination; “Derrida and History: Some Questions Derrida Pursues in his Early Writings,” in Jacques Derrida and the Humanities: A Critical Reader; “Postmodern Theories of Alterity and Identity” and “Jean-Luc Nancy,” in The Routledge Encyclopedia of Philosophy; “Technica Speciosa: Some Notes on the Ambivalence of Technics in Kant and Weber,” in Experimenting: Essays with Samuel Weber; “The Courage of the Critic: Avital Ronell and the Idea of Emergence,” in Reading Ronell; and “Toward another Teichology,” in Babel: für Werner Hamacher. 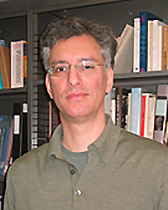 Professor Fenves has written extensively on Walter Benjamin beyond his recent book, including “Testing Right—Lying in View of Justice,” Cardoza Law Review 13 (December, 1991); “The Genesis of Judgment: Spatiality, Analogy, and Metaphor in Benjamin’s ‘On Language as Such and on Human Language,’” in Walter Benjamin: Theoretical Questions; “Die Unterlassung der Übersetzung,” in Übersetzen: Walter Benjamin; “Of Philosophical Style—From Leibniz to Benjamin,” boundary 2 30 (spring, 2003); “Is There an Answer to the Aestheticizing of the Political?” in Actualities of Aura and Walter Benjamin and Art; “Über das Programm der kommenden Philosophie,” in Benjamin-Handbuch; “Um Worte Verlegen: Zur Benjamins gegenhistorischen Lektüre Hölderlins,” in Walter Benjamin und die romantische Moderne; and “A Concept in Combat with Itself: Benjamin, Hölderlin, and ‘Temporal Plasticity,’” PMLA 124 (January 2009); “Benjamin’s Early Reception in the United States: A Report,” in Benjamin-Studien 3; “Entanglement—Of Benjamin with Heidegger,” in Sparks Will Fly: Heidegger and Benjamin; “Kant in Benjamins Wahlverwandtschaften-Essay,” in Benjamins Wahlverwandtschaften. Zur Kritik einer programmatischen Interpretation; “Completion Instead of Revelation: Toward the ‘Theological-Political Fragment,’’ in Benjamin and Theology; “The Problem of Popularization in Benjamin, Schrödinger, and Heidegger circa 1935 in The Germanic Review 91 (2016); “Toward Messianic Nature—from Cohen to Benjamin,” Paradigmi: Rivista di critica filosofica 35 (2017); and “Benjamin, Studying, China,” Positions (2018). Professor Fenves received his BA from Wesleyan University, studied at the Freie Universität Berlin, and received PhD from the Johns Hopkins University (1989). He has taught at the University of Massachusetts at Amherst, the Johns Hopkins University, Princeton University, and Harvard University in addition to Northwestern.